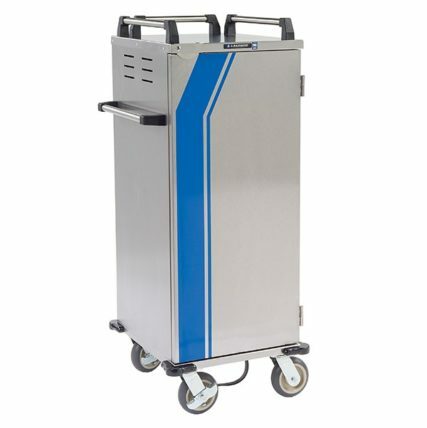 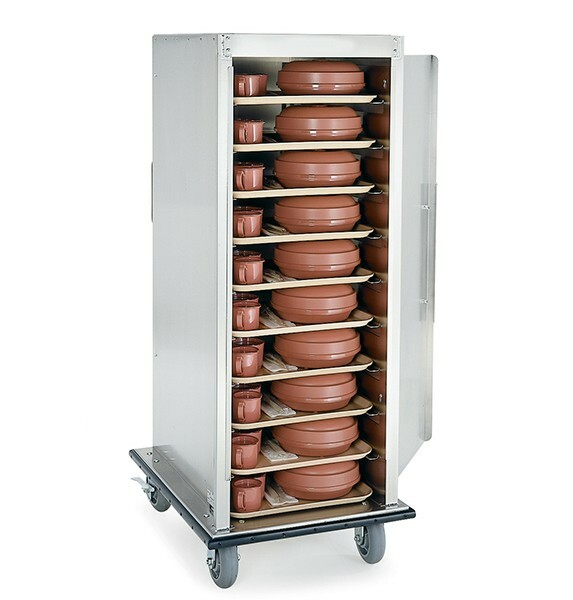 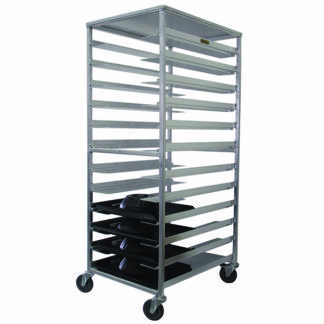 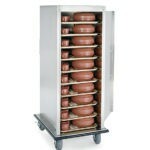 Enclosed cart available in aluminum or stainless steel to accommodate 14×18 or 15×20 trays. 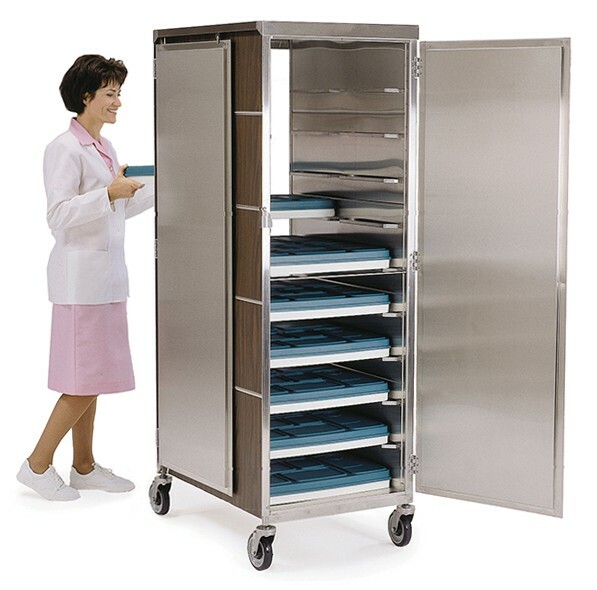 Single door design with a full length hinge and gravity latch. Door opens 270 degrees. 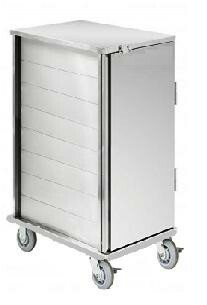 Includes full perimeter bumper.